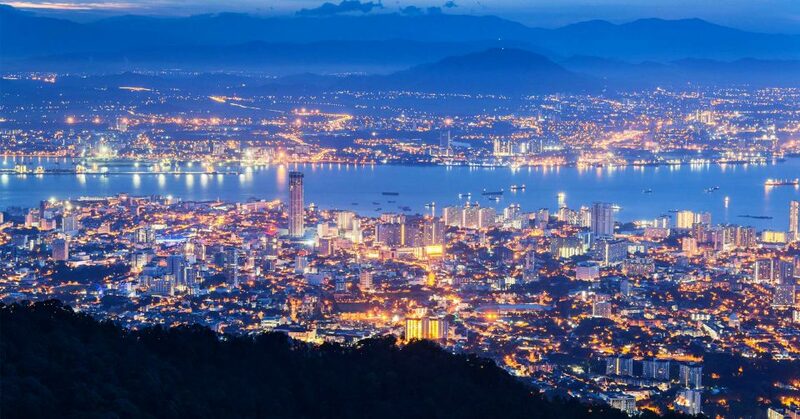 For the past two decades, Penang has remained one of the top locations for property investment in Malaysia. A tropical island climate coupled with a rich cultural heritage has made this small state an attractive magnet for investors. This series introduces the various neighbourhoods of Penang for the benefit of property investors. It is intended to help you make informed decisions when planning to buy Penang property. As would be expected, Penang comprises many localities and neighbourhoods. Each has its own distinct characteristics. As such, their potential for property investment is disparate. 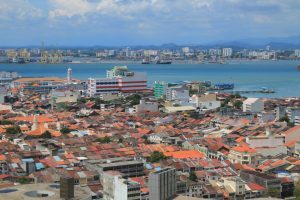 Before making a property investment in Penang, it is prudent that one gains some familiarity with the various neighbourhoods. And what better place to start than the capital itself, George Town. Founded in 1786, George Town is older than many of the major cities in the region including Kuala Lumpur, Ipoh and even Singapore. With a long history and a cosmopolitan mix of ethnic groups, George Town is home to an outstanding diversity of architectural styles reflective of the various periods in its history. Residential property investment in George Town can be grouped into two main categories: pre-war shophouses, within and surrounding the inner city, and luxury condominiums immediately outside the World Heritage Site. The core zone of the World Heritage Site is a 109.38-hectare area within the inner city of George Town. It received World Heritage inscription on 7 July, 2008. This core area is bordered by the sea to the east, and by a 150.04-hectare buffer zone to the west, separating it from the rest of George Town. Within the World Heritage Site are some of the best preserved and beautiful “shophouses” in the country. The term “shophouse” is loosely used to denote two- (and occasionally three-) storey linked or terrace houses where the front side of the ground floor is used for commerce. On the rear is the kitchen, while upstairs are the living quarters. The upstairs overhang the five-foot way- a porch area with a creating a common corridor that links properties within the same row. The same term “shophouse” is also often applied to fully residential townhouses, where the reception hall occupies the space of the shop. George Town has the largest collection of shophouses constructed before the Second World War in Southeast Asia. 1 Due to strong demand, these properties within the core zone of the George Town World Heritage Site have become one of the most desirable acquisitions in Penang. Commercial property investors also acquire pre-war shophouses, in order to turn them into boutique hotels and cafes. Until the repeal of the Rent Control Act 1966 in 1997 (and enforced in 2002), the price of George Town shophouses had remained largely unchanged, and many such properties were neglected and left to rot. Since then, and particularly after the World Heritage inscription, prices of George Town shophouses have followed an upward trajectory. This price increase accelerated at such an alarming rate that in 2016, the local authority contemplated re-introducing price and rent controls. Since then, prices have stabilized (as of March 2019), but may pick up once again. Many foreign investors descend on George Town with a “shophouse” shopping list. Despite local requirement that foreigners may only purchase landed properties priced above RM3 million, they remain undeterred, as many of George Town’s shophouses surpass that price tag. As of March 2019, expect to pay from RM1,200 per square foot for shophouses within the World Heritage core zone. Anybody wishing to acquire a George Town shophouse should fully understand what he is getting himself into. Parking is street side, and may not be reserved. On the plus side, some of George Town’s best restaurants are often within walking distance. The inner city itself is sufficiently small and compact that residents of the inner city may consider driving not an essential part of life in George Town. Moreover, roads are often congested while empty parking lots difficult to find. Some of the alleys in the inner city have a charming quaintness that attracts people from all over the world into calling George Town home. 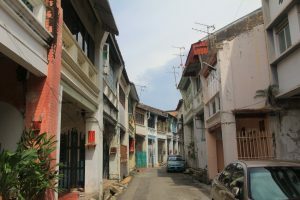 The demand for pre-war George Town shophouses has made some of the choicest properties in the most desired neighbourhoods worth more than ten times a similar shophouse in smaller Malaysian towns like Kampar or Batu Gajah. On top of the premium paid on pre-war shophouses, buyers may have to expect a hefty restoration bill. This is especially so if the building has been frozen in neglect by the Rent Control Act for decades. Also, the finishes have to be sympathetic to the material used in its original construction. As the walls of some of the older shophouses were built using clay bricks, and so need to breathe, only traditional finishes such as limewash will do. When shopping for a pre-war George Town shophouse, it is beneficial to engage a real estate negotiator who has in depth knowledge of such properties. In the case of such buildings, the oldest are not necessarily the most expensive. The best examples were built during George Town’s golden era, beginning around the 3rd quarter of the 19th century, when prosperity from the Larut tin mines gave rise to ever ornate embellishments and moldings. This corresponds roughly to the Early & Late Straits Eclectic Styles, in Penang shophouse chronological nomenclature. The onset of the Great Depression in 1929, which robbed many a Penang millionaire of his fortune, signaled a beginning of the end to ornate shophouse façades. It was also around this time that the Art Deco style replaced the Straits Eclectic. The main roads of George Town spread out like the fingers of a hand. They are Northam Road (Jalan Sultan Ahmad Shah), Burmah Road, Macalister Road, Dato Keramat Road and Jelutong Road. Within the inner city, there are no high-rise condominiums, thanks to a strictly enforced height control. Once you leave the World Heritage Site, high-rise condominiums dot various neighbourhoods, with the newest projects soaring to new heights. Condominiums in George Town attract an entirely different type of property investor. These are people who do not care to live in the congested inner city, nor find pre-war shophouses appealing. Those going for George Town’s condominiums expect a full array of facilities, from infinity pool to gym to multi-tier security, and at least two separate parking bays in a multi-level car park. There are condominiums aplenty in George Town that offer all of these. Within George Town itself, some neighbourhoods can be considered more affluent or white collar while some blue. As a general rule, the northern coast is home to the upper crust of local society, the southern coast holds the working class, while the neighbourhoods in between, the middle class. However, the lines have since blurred as once working class neighbourhoods are redeveloped and gentrified. Properties commanding a sea view can expect better prices. The choicest locations are north coast neighbourhoods such as Pulau Tikus and Tanjong Tokong, which I will cover separately in future articles. When planning your investment in George Town condominiums, the things to consider include location, facilities, amenities, age of the property, and price per square foot. Again, it is useful to tap the knowledge of your real estate negotiator, who may be able to advise you of the growth potential in the value of that property. As the availability of land for re-development in George Town dwindles, property prices – residential and commercial – are expected to hold their ground and remain one of the highest in the country. George Town remains one of the top locations for property investment in Malaysia. Having said that, anybody interested in investing in property in George Town should do their homework to understand the property landscape, and engage a real estate negotiator who can help them increase the value of their investment portfolio. Timothy Tye is one of the most well-known place information bloggers in the country. His carefully researched websites, Penang Travel Tips and TimothyTye.com, provide encyclopedic information on Penang and other cities in Malaysia. He is accredited by UNESCO as a heritage specialist guide for George Town. As a real estate negotiator with IQI Global, he uses his knowledge to help property investors find high-value properties in Penang and other Malaysian cities.